Asean Equities Review had the opportunity to speak with YuuZoo Corporation Management to understand the YuuZoo business. YuuZoo is currently undergoing a RTO with W Corporation Limited. The RTO has been approved by SGX and is currently awaiting shareholder’s approval on 23 Jul 2014. The transaction will be done at a pricing of 10 cents a W Corporation share. YuuZoo is a social e-commerce infrastructure company. It currently has over 42 million registered users in 164 countries. It offers e-commerce networks to its customers. Currently it runs 335 of these e-commerce networks. Of these 84 are country specific networks while 130 are brand or product specific networks. The remaining 121 networks are started and operated by YuuZoo. To explain this simply, YuuZoo operates an online shopping mall. Its various networks are like different levels of a shopping mall that sell a particular product. For example, there could be a jewellery level in a mall or what is called a YuuZoo network. There could also be another network on golf selling golf products. All these brand or product specific networks are then part of each country’s virtual shopping mall, or the country network. To run the mall, YuuZoo offers both advertising solutions and payment solutions for users to purchase online. There is also the social interaction piece where users can discuss and interact in each specific network on topics about that network or about buying products from that network. 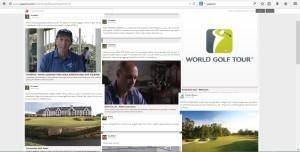 So not only can users interested in golf visit the golf network to interact with other users on golf subjects. They can also read user reviews of golf products before buying these products online. This is where the social interaction is. YuuZoo is a social e-commerce site and thus has an aggregation page. This is similar to what Facebook has for news feeds. This is a page whereby users can track things that are going on in each of the networks that they are interested in. This is the social interaction part of YuuZoo and is what retains user interest. This page can also aggregate feeds from other social media such as Facebook or Twitter. It can also then post new posts to these social media. YuuZoo’s technology is also mobile optimised. This is because YuuZoo foresees that most of the users will also be using their mobile phones to access their social media as well as their e-commerce shopping. The mobile phone also offers the possibility of location based services which can be offered by YuuZoo’s retailers. YuuZoo’s development is all done in-house. Some interesting technology that they have include an advertisement personalisation platform that is optimised for the mobile phone. This allows users to choose what kind of advertisements they want to receive. They also have a mobile loyalty card capability which allows a user to store all his loyalty cards in one location. Now we know that YuuZoo has users on its platform and it also has interesting technology. The next logical question is that of YuuZoo’s business model and how it makes money. YuuZoo takes a revenue share of the e-commerce transactions on its network. This is like shopping malls collecting rent from their shops. It also offers a payment solution for these both online and mobile transactions. This is another revenue source. In addition, it also charges for advertising. YuuZoo also seeks out ways to work with its customers for their specific network. YuuZoo’s revenue in FY2013 was US$ 33.6million with a PATMI of US$ 5.7million. One reason why YuuZoo has expanded so quickly to so many countries is its use of the Franchisee model. It seeks out a Franchisee for each country and then signs an agreement with the Franchisee to jointly run the country network. YuuZoo currently has 84 country specific networks. This business model is interesting because it allows YuuZoo to expand globally without considerable resources. It is also able to pick a strong country partner to help it grow its social e-commerce network in that particular country. For the franchisee, YuuZoo customises the front end of the its user interface to local requirements. For this it charges a one off fee to its franchisee. The subsequent fees are through revenue share. In this regard, YuuZoo’s recent announcement of a tie-up with Shanghai Media Group for China is both illustrative and interesting. YuuZoo signed an agreement with Shanghai Media Group on 8 Jul 2014 to work exclusively on YuuZoo’s China network. Shanghai Media Group is China’s second largest TV network and has access to 700 million viewers. The partnership is interesting as it extends to Shanghai Media Group using certain TV programmes to promote and market certain YuuZoo networks. This will give Shanghai Media Group another avenue to monetise its TV content. TV programmes may also be created around certain key networks. And networks could also be created to support popular TV programmes. China is interesting as a market because of the size and acceptance of online and mobile commerce. People’s Bank of China reported that mobile transactions climbed 317 percent last year to RMB 9.64 trillion (US$ 1.58trillion). Euromonitor estimated China’s m-commerce market to be worth US$ 15.3billion. However it also estimated that this will grow to US$ 123.8billion in 2018 to be a close second to USA’s US$ 134.3billion in 2018. It is also interesting to note that YuuZoo was founded in Singapore. Its global headquarters is still in Singapore and hence its desire for a listing on the Singapore Stock Exchange. It is clearly one of the previous few Singapore online companies to have successfully listed on the Singapore Stock Exchange. And more importantly, YuuZoo is an innovator in its space rather than merely imitating successful companies in USA and Europe. As with online and technology companies, scalability is what makes them exciting. YuuZoo already has the backend social e-commerce platform to run its networks. This includes access through the computer and the mobile phone. It also has various interesting technological solutions such as a payment gateway, advertisement serving and personalisation systems as well as loyalty card solutions. It is this scalability as well as the huge growth and acceptance of e-commerce and m-commerce that makes companies like YuuZoo attractive. This also gives it strong potential for exponential growth going forward. Roger Tan, CEO of Voyage Research, has been tracking W Corporation Limited and its impending RTO with YuuZoo. Roger is bullish about W Corporation and states that there is still significant upside in the share price from its closing price of 8.1 cents yesterday. This is because the RTO is priced at 10 cents a share. He also remarked that YuuZoo is an online technology company in the social e-commerce space. Once the market fully digests and understands YuuZoo’s business, its valuation parameters should change considerably. Traditionally the market values online businesses at higher multiples than traditional businesses. Voyage Research had released a research report in May 2014 rating W Corporation as a True Gem with an intrinsic value of 10 cents a share before the proposed share consolidation. GET TO THE POINT : YuuZoo looks interesting because it is a global company with users all over the world. Its business model is innovative and interesting. And more importantly, it is profitable. This is an important validation of its success. The only more interesting thing is that its growth going forward, could be exponential. The post Feature : Uncovering and Understanding YuuZoo Corporation appeared first on Asean Equities Review.